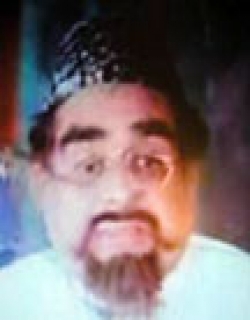 Aashiq is a 1962 Indian Bollywood social film released on 1962. The film is directed by Hrishikesh Mukherjee, produced by Vijay Kishore Dubey under banner named Reuben Dubey Productions. 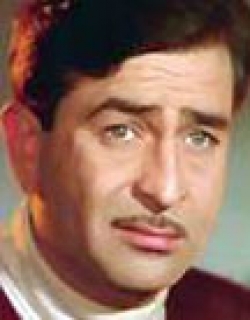 Gopal (Raj Kapoor) is a young man whose two passions are music and Priti (Padmini). However Gopal's parents are against both. 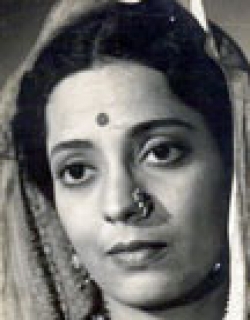 They force Gopal into marrying Renuka (Nanda). Gopal is very unhappy and this leads to frequent fights. Heartbroken Renuka attempts to commit suicide. When Gopal comes to know of this he realises his mistake and decides to leave music forever. Will Gopal ever sing again ??? Aashiq no word in the language has a nobler meaning than this one which signifies the one who loves. Because love is the noblest emotion the one who loves. just as the one who is loved, is the noblest creature. . Aashiq is the story of Gopal a simple light hearted youngster who seems to live for jun and pranks. Gopal nevr worries about the zamindari of his father and the burden of work falls on the willing shoulders of elder brother Pratap. . Gopal hears music everywhere in everthing in the laugher of children in the singing birds in the sunrise and sunset in the sighing of the breeze in fields and woods. But nobody undersands him, nor the restles search in his soul, waiting to be awakened by somebody. That somebody is Preeti a dazzling beauty who literally dances her way into his heart. She comes to the village to attend the marriage of her relative Renuka to Gopal. . Preeti brings fire, passion, understanding and her meeting with Gopal ignites the magic flame in them. It is love sublime, for Preeti sees t he restless search in Gopals soul and awakens it. She sees the great musician in the rustic youngster and teaches him how to capture the music he seems to hear everwhere, to compose songs and melodies out of them. It is an ideal association for music discovers dance, dance captivates music and the result is a supreme unity. . But like the love of the flame for the moth, the love of Goapal and Preeti can never be consummated nor ever attain full expression, except in music. It is destined to linger forever in the shadow of Renuka of filial love and duty. Gopals marriage to Renuka brings about a twofold sorrow the departure of Preeti and the consicius shutting out of music from his now awakened soul. . Gopal resolutely lives a life without music until fate returns him to Preetis life. It is a thrilling reuntion. From then on Gopal work frantically, composing music writing songs and poety, creating beautiful images from the turmoil of his soul. . The shadow of Renuka and the family honou again shatters Gopals shor- tlived happiness Nobody ever understood him and they now think the worst of Preeti. In her rage, the preganat Renuka flings wild accusat- ions a Preeti and faints, giving birth to a baby girl. . In a delirium Renuka drowns herself. Gopa learns the news and returns home hocked only to be driven out by his father. The cup of Gopals sorrow is full. If music had been this cause of his extreme happiness, it had beet the source of ecteme misery too. It had broken up a happy family and left destruction in its wake. . Swearing by the memory of the dead Renuka that he would give up music for ever Gopal deafening himself to Preetis entreaties, burn all his composititons and rushes out into the night ....lost......lost to all includin himself... . For years Preeti searches for Gopal in val until one day she finds him broken in spirit and body, the walking dead. The day of redemption now dawns for Goapal and he emerges as in miraculous rebirth, and puts his face to the rising sun of success. Preetis dreams and fulfiled and Gopal now turned Uday Kumar becoms the nations most honoured musician. . And it is at the hour of her greatest triump that life plays its most cruel trick on Preeti. Yet so noble is her spirit that she has no tear for herself only an infinite consideration for others. . At the height of his triumph. when Gopal retuns to Preeti with the nationss honour heaped on him. He learns the lesson which life teaches all of us that dawn must follow life darknest hour, and that goodness , faith intergit and hope will always triumph. Check out this page for more updates on Aashiq. This page provides latest and updated information about Aashiq (1962) movie which released on 1962. 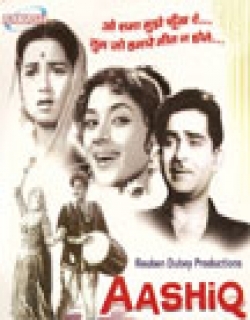 Aashiq (1962) is directed by , produced by , starring .We have also provided 0 trailers and videos, 2 photos, 27 user reviews, and 0 critic reviews.Aashiq (1962) has received 1.9 rating from user reviews.The overall rating of Aashiq (1962) is 37 and movie is 1.9.You can review, like, dislike this movie and also can add to favorites. You can also find information on showtimes, CDs, DVDs, online rental, online free watching.